As a result of dedicated activism over the last months, the University of California Regents have chosen not to issue a blanket condemnation of anti-Zionism, not to adopt the false claim that anti-Zionism is anti-Semitic, and not to adopt a definition of anti-Semitism that included criticism of Israel. This recognition of the inherent legitimacy of our activism was a position endorsed not just by SJP and Jewish Voice for Peace, but also by the Afrikan Black Coalition, legal groups (ACLU, Palestine Legal), unions (UPTE-CWA, UAW 2865), the UC Academic Senate, the LA Times, and individual faculty members from across the political landscape. We thank all of these groups for their efforts to protect our constitutional rights and the legitimacy of our work. Nevertheless, we reject the process that has led to this statement, the tokenization of other communities whose concerns were never taken sincerely, and the unsubstantiated efforts by off-campus groups to label our activism as bigoted. The choice not to label anti-Zionism a form of discrimination means that there will be no enforceable changes to the conditions for campus activists at the UC system. In fact, in rejecting a blanket condemnation of anti-Zionism, the Regents agreed that anti-Zionism in itself is legitimate, as long as it isn’t anti-Semitic. This distinction has always been the position of SJP and we are glad it is being recognized by the Regents. We hope this recognition of the legitimacy of our positions will make it more difficult to censor us in the future. Going forward, we intend to continue our work educating the campuses about Palestine and pushing for our universities to end their complicity with Israel’s human rights abuses against the Palestinian people. We will be working harder than ever to educate and organize our fellow students. Although some may still choose to use the vague formulations in Regents’ statement to justify attempts at censorship, we are well prepared to fight for and preserve our First Amendment rights – and we have a long track record of doing just that. Efforts to censor SJP have a long history and we do not anticipate that they will cease anytime soon. But we are confident that our First Amendment right to free speech will allow us to continue making our arguments for Palestinian freedom, justice and equality – arguments that have and will continue to persuade large numbers of students on our campuses to support our positions, join our groups, and support our campaigns. We will continue to struggle until we triumph. What is anti-Zionism and why is it a legitimate position, as the Regents now recognize? Although Zionism is most commonly understood to be support for Israel, it is a term with a more complex history and holds multiple strains of interpretation with highly variant political implications. A worthwhile summary written in the context of these events is located here. Anti-Zionism is a principled anti-racist position that is held by many members of the UC community who are opposed to unjust policies and practices that are associated with the real world actions taken in the name of Zionism – including the expulsion of Palestinians during and after the creation of the state of Israel and the ongoing violent occupation of the Palestinian territories. Palestinian students whose families and communities were and continued to be affected by Israel’s actions have the right to speak out about their experiences, and people of conscience throughout the UC should be able to oppose the actions of the Israeli government without fear of administrative reprisal. Far from having “no place” in the University of California, these narratives and principled political activism are a vital component of UC cultural life that directly affects scores of individuals across the UC system. What was wrong with the process? As the Regents’ working group openly admits in its contextual statement, the process was largely closed to UC input, besides one listening session at UCLA and an opportunity to send emails about intolerance to campus administrators. Although we raised serious concerns throughout the process, the working group was not constructed in a way that allowed for campus organizations to have meaningful input in the process, and therefore we were consistently left in the dark as to developments, or provided no avenue to articulate our concerns to the working group. We also note that the choice of “experts” was an all male panel comprised of two off-campus partisans, one faculty member implicated in reducing Black, Latinx and Native enrollment at the UC system as an architect of the disastrous Proposition 209, and one faculty member who admitted to not being an expert on the term Zionism. Although the working group was concerned with issues that directly concern Palestinians, it conspicuously chose not to consider or hear any Palestinian perspectives, while praising itself for inclusivity and diversity. The categories of experts omitted by the working group is too long to list and certainly indicates a lack of effort to gather a comprehensive understanding of these issues. The Regents’ lack of accountability is part of a pattern experienced by multiple communities on campus. Why do we say other communities were tokenized? The working group’s contextual statement is a tacit admission that the inclusion of examples of intolerance towards other groups was not a result of an organically derived interest in their well being, but rather a solution for a stumbling block that occurred when the Regents felt that the statement was too narrowly focused on only one group. This correlates to our experiences with the process as well, and helps explain the sense of tokenization expressed by many groups whose issues were cited to boost the legitimacy of the statement but not engaged with in a meaningful or credible way. See the Afrikan Black Coalition’s statement for examples of their problems with the process and statement, as well as the pushback from many Muslim students in response to language in the document that implicitly frames Islamophobia as a product of terrorism, rather than a form of bigotry – a framing that places blame on victims of racism and fails to live up to the Department of Education’s letter urging serious efforts to protect Arab and Muslims students in the wake of a documented rise in Islamophobia, anti-Arab, and anti-refugee discourse. 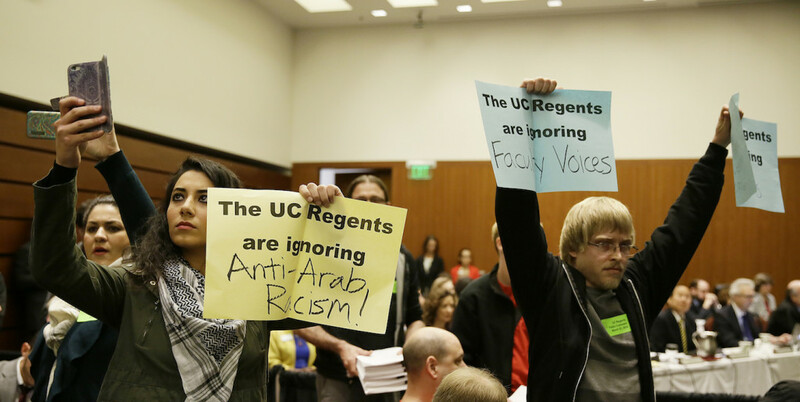 We have absolutely no confidence that the UC Regents understand or even care about the issues facing other groups, including Palestinian, Arab and Muslim communities that the Department of Education has warned are under increased threat on campuses during a period of ongoing hate speech and racist incitement by political figures. What are examples of off-campus groups baselessly smearing campus pro-Palestine activism? Many times during the discussion of these issues, horrifying examples of anti-Semitism were brought forward. These are terrible incidents that we condemn and wish never to see occur on campus. But the perpetrators of these incidents were either not known, or known not to be related to SJP. Nevertheless, partisan groups who have made clear their opposition to SJP’s work repeatedly used these incidents to defame SJP. Our organizations have a long record of clear opposition to anti-Semitism and internal educational work in our groups to learn about anti-Semitism and how to combat it in our spaces (1). But we are not responsible for acts that are unconnected to us. AMCHA and Brandeis’s strategy of asking the UC administration to censor speech critical of Israel pre-dates also the growth of divestment campaigns on campuses, disproving the assertion that divestment is at fault. Moreover, we don’t even need to speculate on the motives of these off-campus advocacy organizations. The founder of the AMCHA Initiative, Tammi Rossman-Benjamin, made clear that she seeks to classify BDS and many other forms of pro-Palestinian activism as anti-Semitism. What other reservations do we still hold about the amended version of the statement? While SJP West supports the move away from condemning anti-Zionism as a form of discrimination and the embrace of academic freedom, we still have concerns regarding the amended version and its implication that anti-Zionist action and expression is more prone to anti-Semitism. Students for Justice in Palestine groups are secular organizations committed to opposing racism in all its forms, which include both anti-Semitism and the policies of the Israeli government, and supporting democratic principles of self-determination for all peoples. By its very definition, Students for Justice in Palestine opposes anti-Semitism in all its forms, and has continuously expressed this commitment in both statement and record. Hence, the specific attention focused on anti-Zionism as opposed to a blanket condemnation of all forms of anti-Semitism plays into unfair and unfounded assumptions about SJP and the students involved in it, perceived primarily as Palestinian, Arab, and Muslim. (1) See for example, UCLA SJP Article Responding to Anti-Semitic Incident, UCSC statement regarding Anti-Semitic incident, UC Berkeley SJP Guiding Principles, UCLA SJP Constitution. More examples are available upon request. 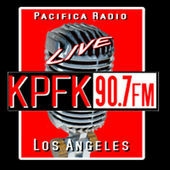 In this half-hour interview on KPFK Radio, hosts Estee Chandler and Nagwa Ibrahim talk to JVP Academic Advisory Council head Tallie Ben-Daniel about the UC Regents proposed, “Statement of Principles Against Intolerance,” the issues of transparency surrounding its writing, the problematic list of experts that have been consulted, and the problematic definition of anti-Semitism being considered. The interview also discusses the effect of speech policing on scholarship and activism at the UC, and explains the difference between principled criticism of Israeli state policies and anti-Semitism. For more, please see the UC SJP position paper on this issue. 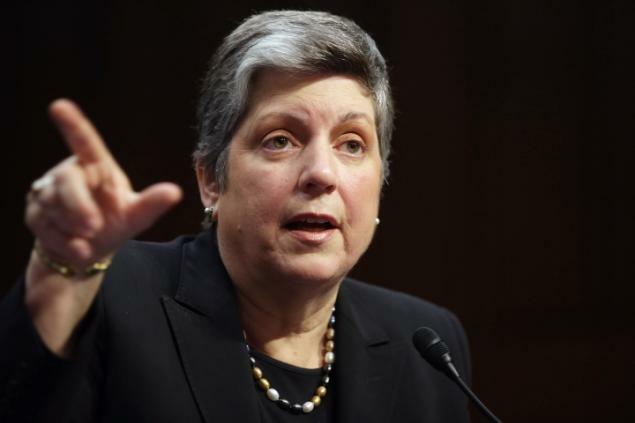 As SJP-West illustrated in its June letter to UC President Janet Napolitano, the State Department’s definition of anti-Semitism dangerously conflates anti-Semitism with legitimate criticism of Israeli policy, mis-representing an issue of human rights as an ethno-religious matter. The Los Angeles Times recently editorialized in agreement with this position, highlighting the ways in which the State Department’s “overly broad and constitutionally dubious” definition would lead to confusion and conflation of pro-Palestinian speech with bigotry. While we reiterate our opposition to anti-Semitism as well as all forms of racism and bigotry, we believe that the State Department’s definition, if adopted, would ultimately harm not just efforts to advocate for Palestinian rights but also efforts to oppose anti-Semitism. In addition to petitions and legal letters sent by SJP-West and other organizations, on July 7, 2015 SJP West, UAW-2865 (the labor union for Graduate Students and Workers of the UC schools), Jewish Voice for Peace, and various civil rights organizations along with UC students, faculty, and staff gathered in Oakland to protest outside the UC Office of the President. These groups asserted their disapproval of the possible adoption of the State Department definition of anti-Semitism at today’s meeting. Students report that administrators who fear controversy over Israel and Palestine try to restrict their activity. In the first four months of 2015 alone, Palestine Legal documented 60 cases of false accusations of anti-Semitism that were in fact incidents where students or faculty criticized policies of Israel. Statements made to the Jewish Daily Forward by one of the principal advocates of the State Department’s re-definition indicates that the definition is seen by some pro-Israel advocates as applying to nearly all forms of pro-Palestinian student speech that take place on UC campuses today. SJP-West is a coalition of Students for Justice in Palestine chapters across California. Find more at www.sjpwest.org.